Not only Namibia has long roads, as just mentioned in my previous post: the long and winding road. There are many roads, many different roads that leads you in spectacular places. We could actually make a long-long list of them. Some of them are not thaaat long, but certainly are GREAT and UNFORGETTABLE. 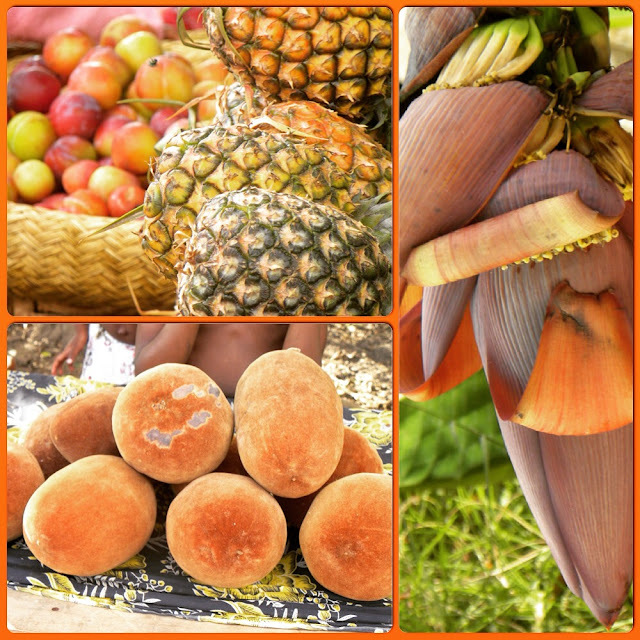 Take for instant RUE DU BAOBAB or ALLEE' DU BAOBAB as they also call it. You arrive at the start of the road when the sun is still high and the heat is still on your shoulder. You still feel the sweat and the need of water or something nice to drink while playing with the sand. Someone is selling fruit on an unstable four-legged-stool that hardly stays still. But the colors of the fruit are so strong that you do not need the nice juicy smell to tell they are just right to eat. Carts pulled by zebus pass by. Some are colored others are dark. Others look darker while the sun starts shading some part of the road. They all go through Rue du Baobab. The sun is now only shining on the trees, the rest of the land behind is dark purple. 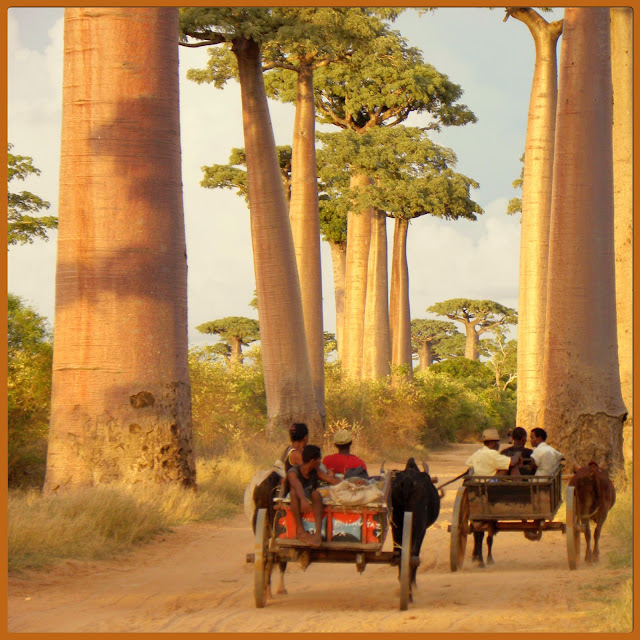 The bark of the baobab are receiving the rays and the colors of the branches, the trunk, the small fruit on the top of the tree, or the white shiny flower during season, turn all shades of pink-red-orange-cream-sand and purple. It is a fantastic moment. You keep on looking through those big trees, some carts come the other way, some men carrying long sugarcanes, others logs of wood. Some carts are so full of hay that you think they won’t make it. 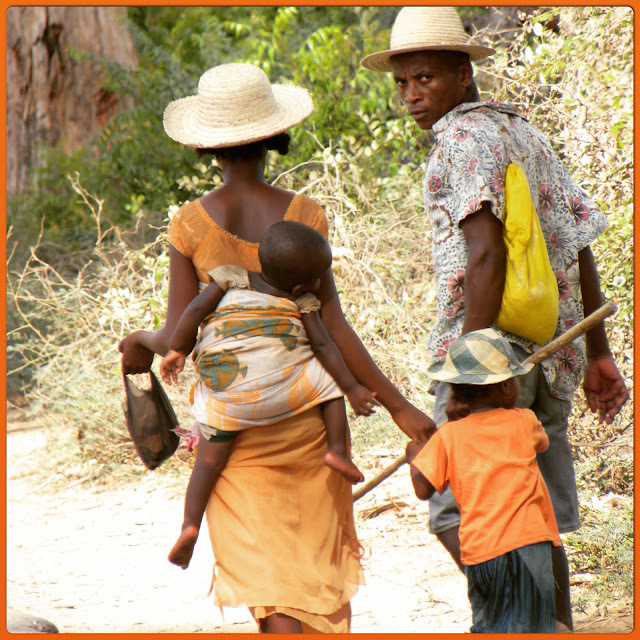 A mother carries one baby on her back, the other one gives her the small hand and the father walks aside with his straw hat. It is dark, now, it is time to go back home.